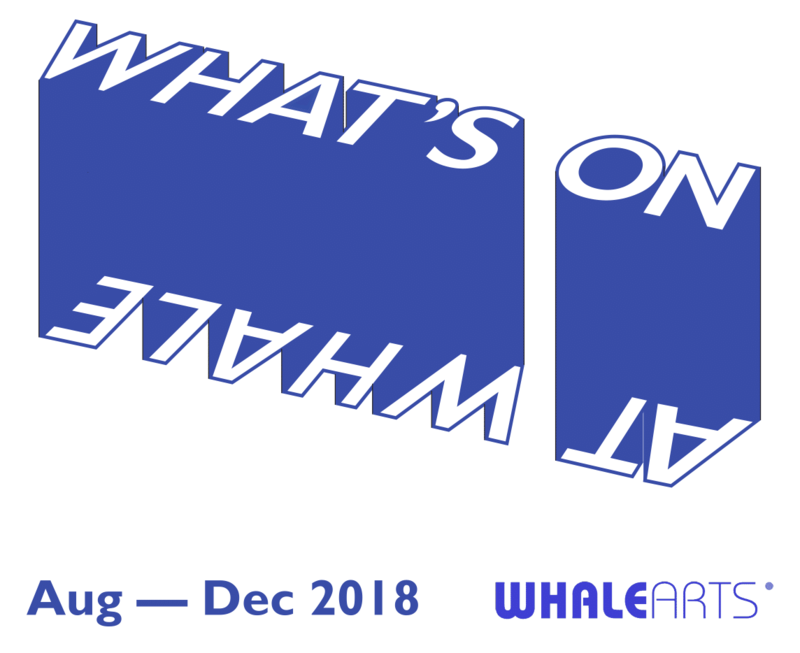 WHALE Arts has released their latest What’s On detailing all the great events and activities that will be taking place in the WHALE from August to December 2018. 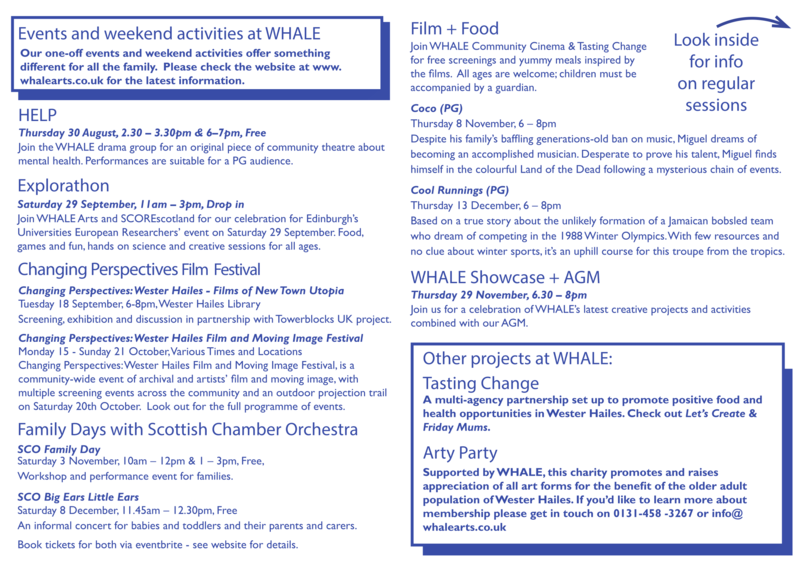 You can read the full programme below, it includes their weekly activities and special events including a series of Film and Food sessions with Tasting Change and the WHALE Community Cinema which invites you to join them for a free screening and yummy meal inspired by the film. 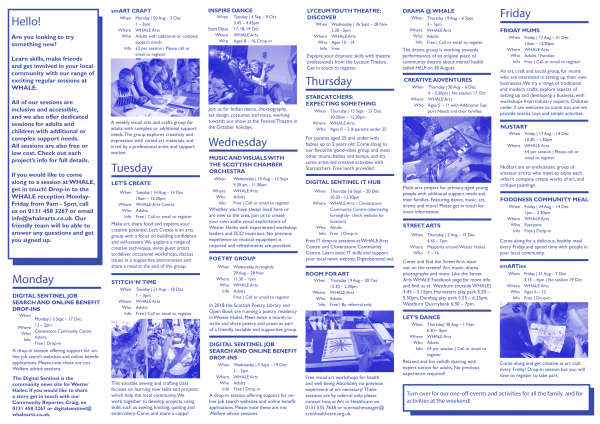 For more information about any of the activities in the programme contact WHALE Arts on 0131 458 3267 or info@whalearts.co.uk.